Yasmin’s husband, Mahmud, is happy to support his wife as she ventures into her career as a teacher during NYSC. However, Yasmin’s novel ideas about family planning also challenge familial conventions at home (in Kano), bringing Mahmud in direct confrontation with his family and his father in particular. With over 100 film titles on his CV, Yakubu Mohammed is one of Nigeria’s most recognised acting talents. He was born and bred in the North before acquiring a degree in Mass Communication. 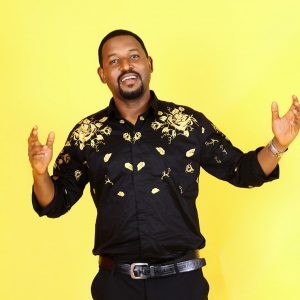 Yakubu has starred in some of the biggest films on the continent including ‘Sons of the Caliphate’ and ‘Lion Heart’, both of which raised his profile and helped him score big ambassadorial deals in Nigeria. Yakubu plays the role of Mahmud in MTV Shuga Naija.